Altair launched CFDCalc, a cloud-based CFD service based on their AcuSolve CFD solver and Amazon Web Services. At time of launch, CFDCalc comes with two built-in vertical apps for mixing and thermal cooling. More verticals are planned. FieldView 14, planned for release by Intelligent Light in September 2013, will focus on your large data and parallel computing needs. 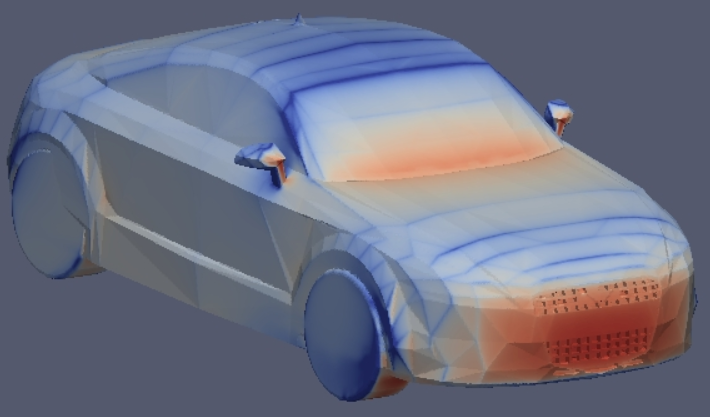 Also in the cloud, Hibou Software launched Aerodynamic on Demand, a CFD analysis tool for racing cars and vehicles. A new Tecplot plugin computes the minimum and maximum values for selected zones. 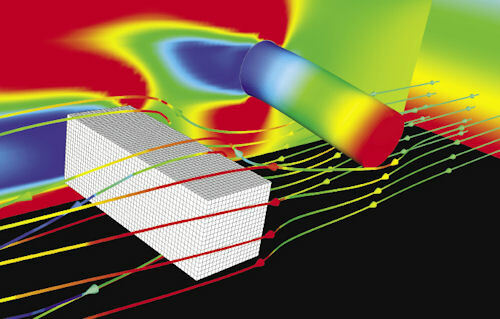 CFD solution from Aerodynamic on Demand. Cradle North America, developers of scSTREAM and SC/Tetra, have agreed to have their products sold and supported in Mexico by Global Computing. Flow Science announced the speakers for September’s FLOW-3D World Users Conference. CFD Engine shares their 10 rules for CFD consulting. I’m fascinated by rule #8 – Don’t Blag Your Clients. First, you know that I like the number 8. Second, I have no idea what “blag” means. Third, this is a philosophy that we use with prospects and our software. Sometimes we can’t solve their problem and there’s no sense pushing for the sale once that’s clear. But it’s a two-way street. The prospect should be up-front about their requirements. There’s nothing worse than going all the way through an evaluation only to have the prospect bail because we lack feature X, even though this was the only time feature X was ever mentioned. NAFEMS will host Elements of Turbulence Modeling on 12 and 19 September. How do the CAE simulation needs of small and medium sized businesses (SMBs) differ from other users? And how are simulation software providers addressing those needs? These are the issues addressed by a two-part series of articles from Desktop Engineering. Part 1 focuses on CAD-embedded simulation from Autodesk, PTC, Siemens, and SolidWorks. Certainly a CAD-centric approach makes simulation more accessible for the non-expert engineer (because presumably they’re already very familiar with the CAD software). And all the vendors interviewed have also taken steps to streamline the entire simulation process, from problem setup to assessing results. Fluid-structure interaction computed using FLOW-3D. Image from Desktop Engineering. Part 2 is more about how providers of dedicated simulation software (Altair, ANSYS, CD-adapco, Dassault, Flow Science, Mentor Graphics, MSC, NEi) are addressing the needs of SMBs. ANSYS’ Barb Hutchings delineates SMBs needs as streamlining workflow, training, and facilitating availability of hardware and software. Training is an excellent point. If simulation tools are to be applied effectively by non-experts, providing learning materials is essential. Of course, the cloud comes into play as a mechanism for delivering to the user sufficient resources for what can be intense computations. Didn’t I promise to not post anymore photos of spinning things covered in paint and the splashes and splats that follow? Here are two more. For the last time, I swear. 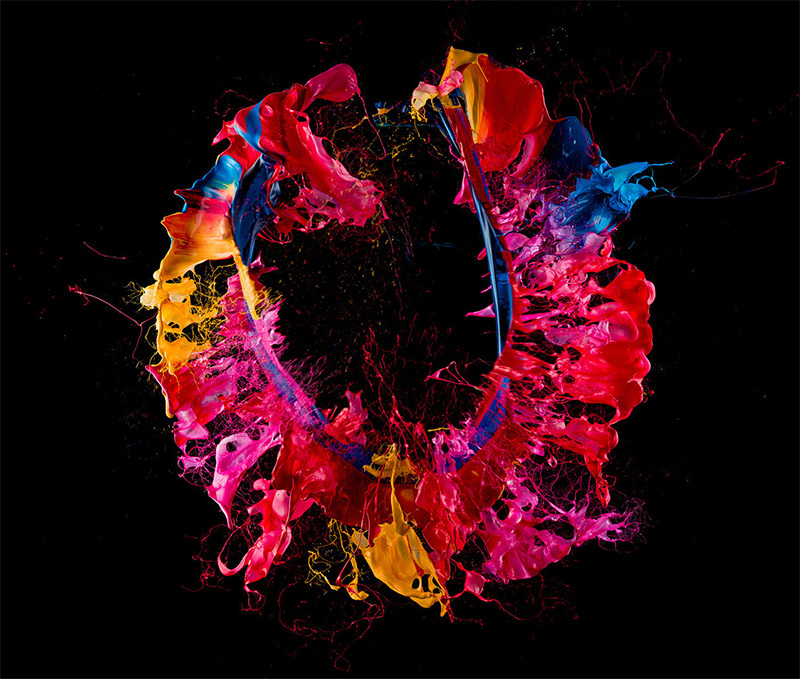 Fabian Oefner coats balloons in paint, pops them, and captures the results with high-speed photography in a series called Liquid Jewel. 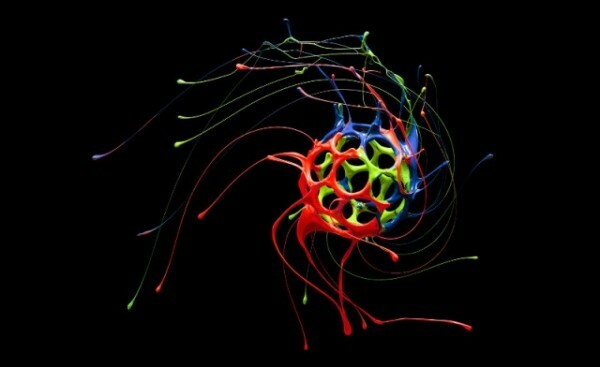 Fabian Oefner’s Liquid Jewel. Image from Colossal. Peter Schafrick coats tools and toys with paint and sends them spinning before snapping his pics. Peter Schafrick’s Spinster. Image from Visual News. This entry was posted in Applications, News, Software and tagged Altair, ANSYS, Autodesk, CD-adapco, FIeldView, Flow Science, FLOW-3D, Intelligent Light, Mentor Graphics, MSC, PTC, Siemens PLM, Software Cradle, SolidWorks, Tecplot. Bookmark the permalink.